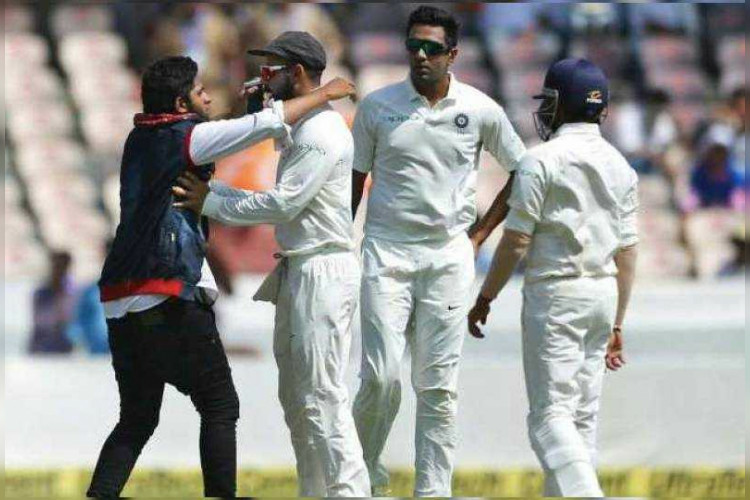 A fan, who broke the security cordon to reach Virat Kohli on the field yesterday, has been Kohli's fan booked under relevant IPC section for trespassing into a cricket ground. The accused identifies as Mohammed Khan, a 19-year-old 2nd-year student of a degree college in Kadapa, will be sent on judicial remand. Circle inspector informed that the accused claims to be a big fan of Virat but trespassing during the play is prohibited.